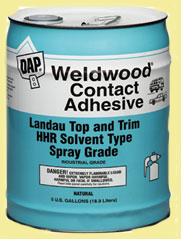 LOCKWELD ADHESIVES ARE FORMULATED FOR THE TOUGHEST JOBS. CAN BE BRUSHED, ROLLED, OR SPRAYED. MADE IN THE USA. OFF OF ALL SURFACES INCLUDING WINDOWS, CHROME & PAINT.